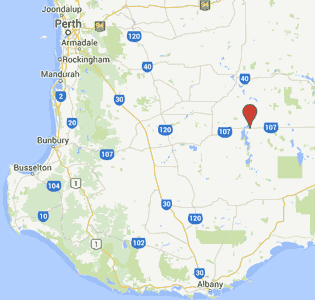 Lake Grace is a small town in Western Australia's southern wheatbelt. 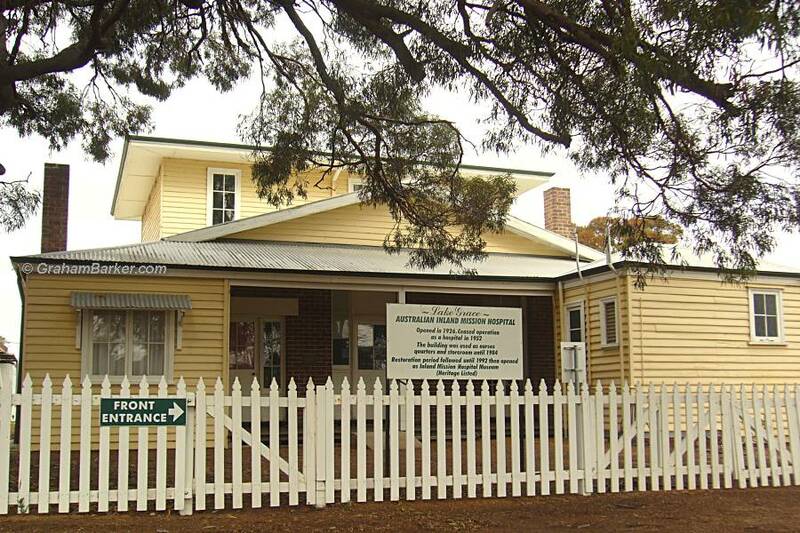 While it doesn't boast major tourist attractions (or many tourists), it does have a unique and very well presented hospital museum which provides a glimpse of how the Australian Inland Mission brought medical care to the outback nearly a century ago. The Australian Inland Mission was founded by the Rev John Flynn in 1912 to provide nursing posts and hospitals to country towns. The Royal Flying Doctor Service, still saving lives today, grew out of this work. 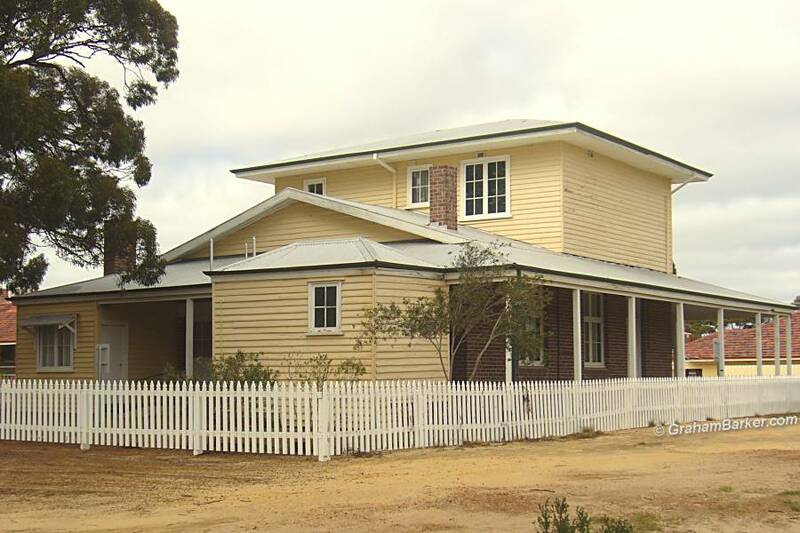 Lake Grace benefitted when the Mission set up a hospital there in 1926, and today it is the only surviving example of such a hospital in Western Australia. Now a museum listed with the National Trust, it has been restored to how it was when functioning as a lifeline for the isolated new community. I turned up one winter morning during a random drive around the wheatbelt, and was let into the hospital by a gentleman named Bill. He proceeded to give me a guided tour of the building, which from the outside looks much like any old two-story wooden house. The interior was fully furnished with original items, and as I wandered through the small wards it was easy to imagine the sick and injured being treated here. I enjoyed lively descriptions from Bill, but for those without a human guide there are plenty of signs and printed notes to bring life to what each room was used for. Many old pieces of medical equipment are on display, as well as more everyday household items. I've worked in a modern city hospital, and the contrast with this Australian Inland Mission hospital was stark. It gave me an appreciation for what we have now, and the challenges faced by the pioneers of small inland settlements like Lake Grace. Even if, like me, you're not much of a history buff, there is much to be gained from scratching a bit beneath the surface and getting a sense of the history of a place. Even places whose history may seem young. Some museums do a better job than others of bringing the past to life, and the hospital museum at Lake Grace is one of the better ones.